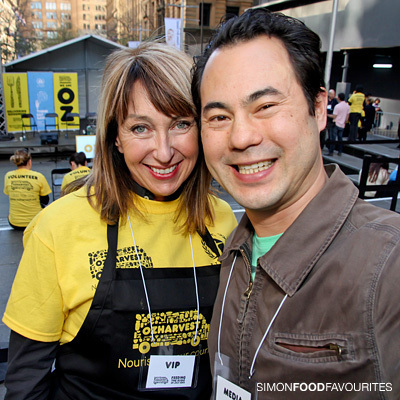 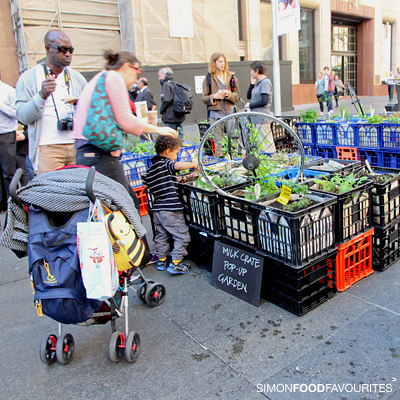 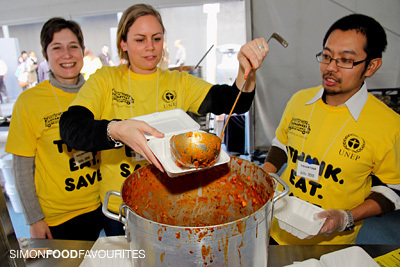 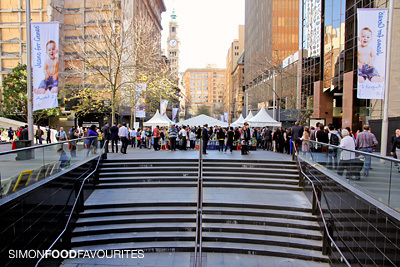 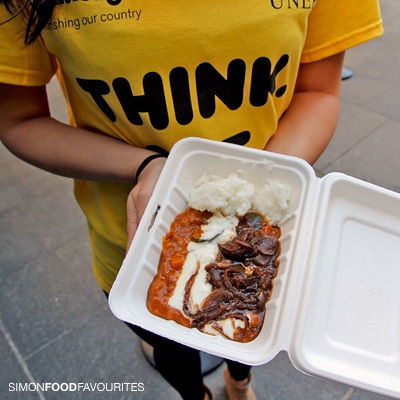 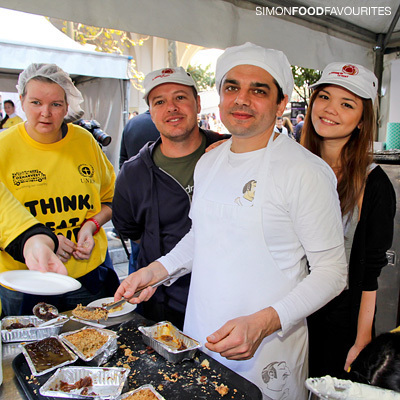 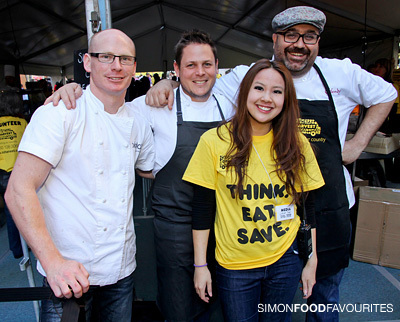 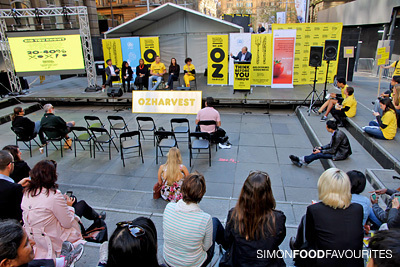 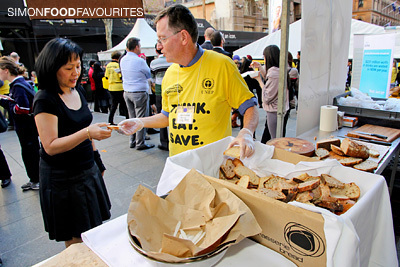 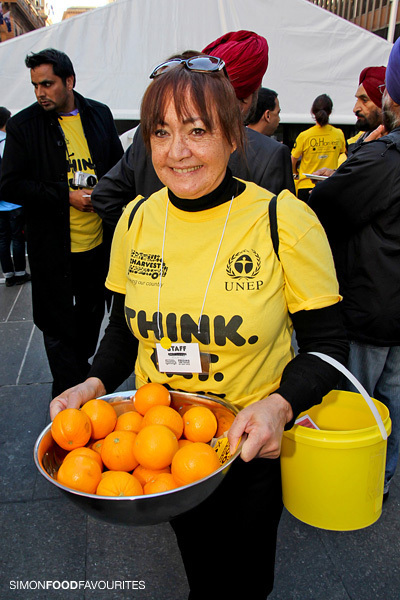 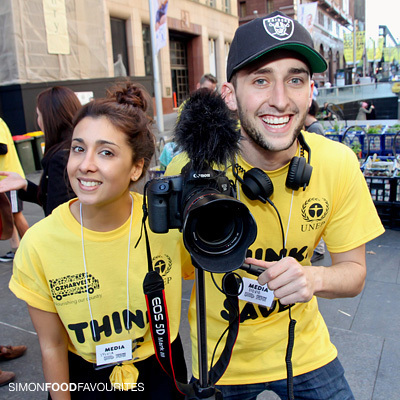 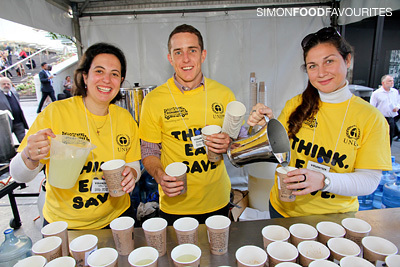 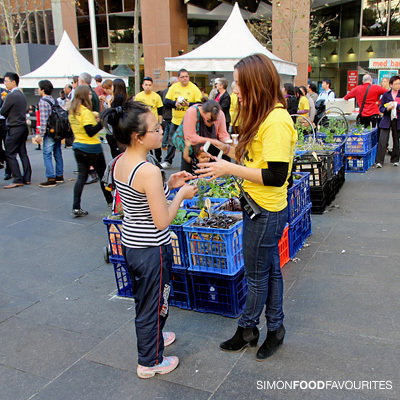 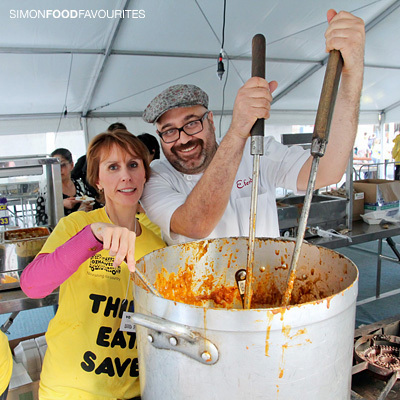 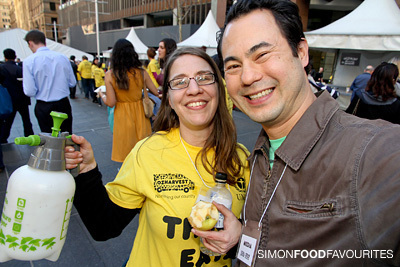 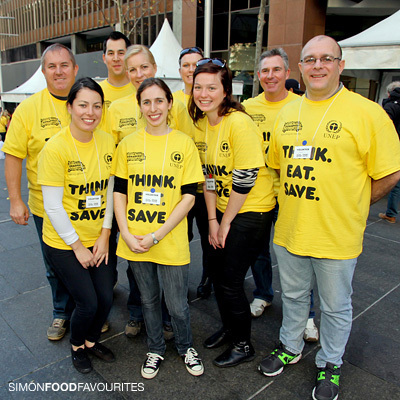 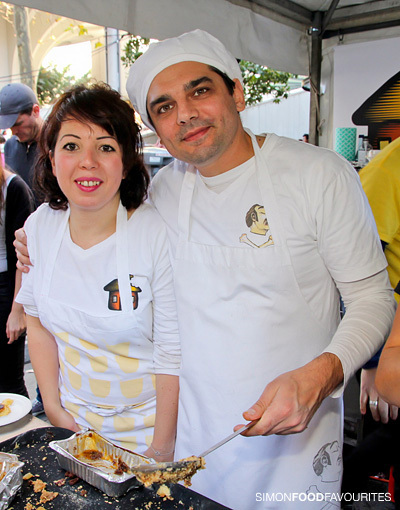 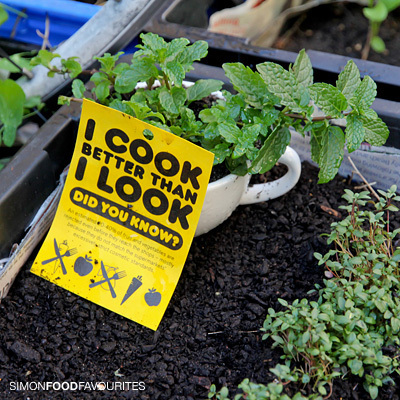 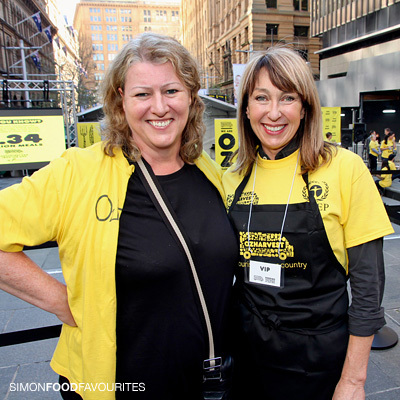 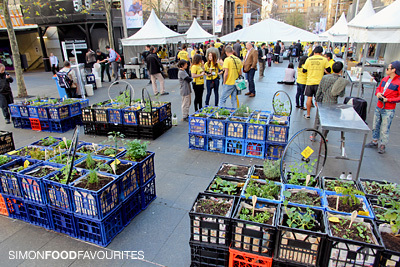 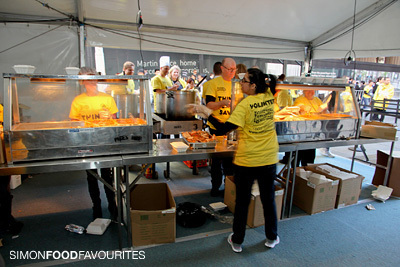 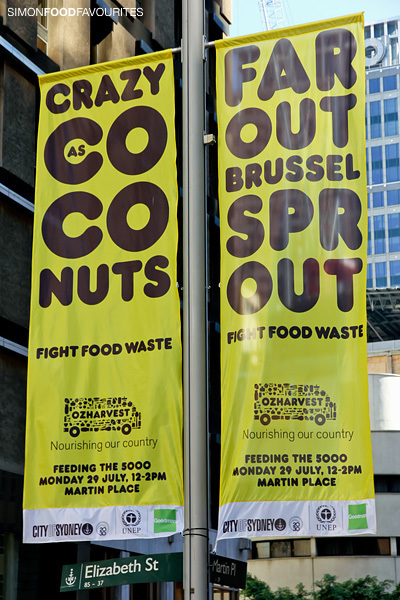 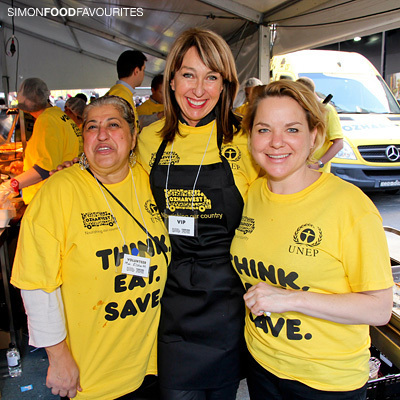 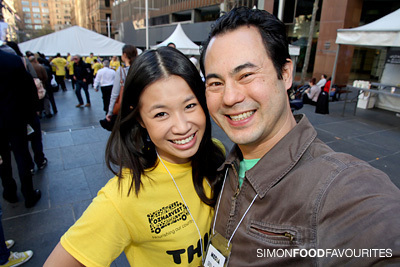 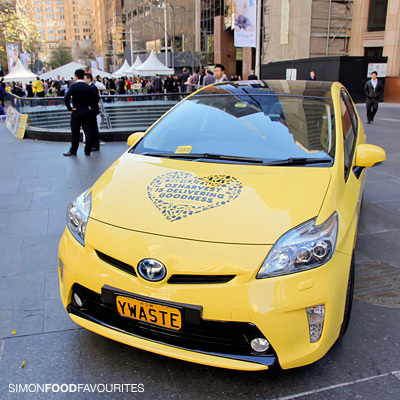 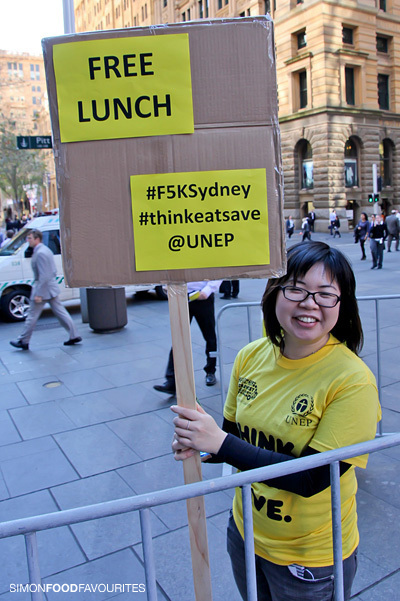 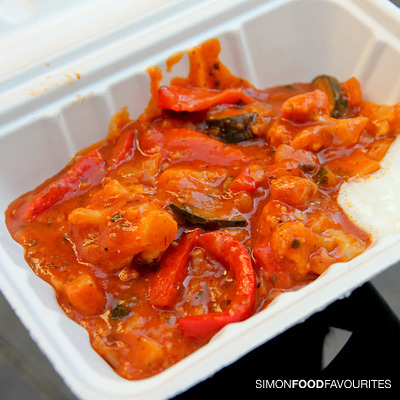 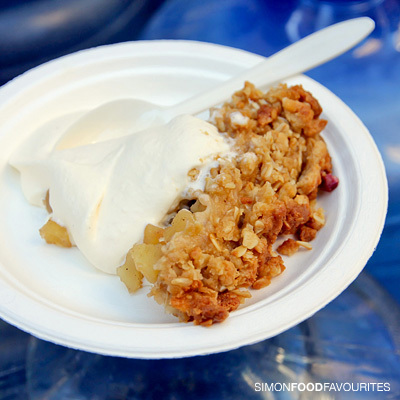 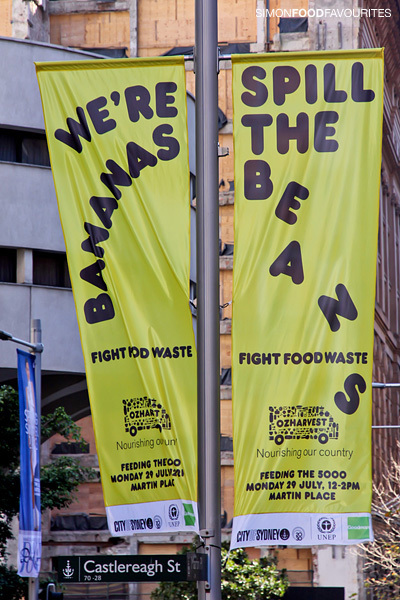 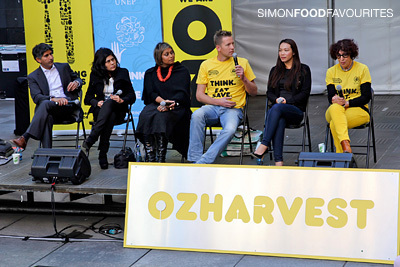 Martin Place was awash with yellow as OzHarvest and United Nations Environment Program (UNEP) aimed to feed 5000 people a free hot lunch using rescued food that otherwise would have just ended up as landfill. 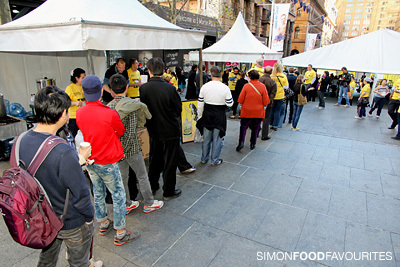 Free tickets to the event were sold out but volunteers still let people walking past know they could come in for a free feed. 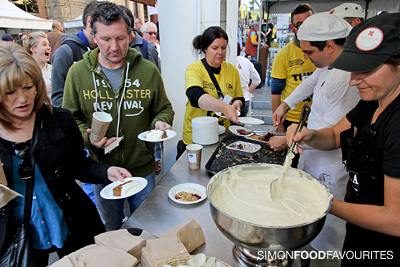 I arrived late so missed out on seeing many of the chefs that had prepared the dishes but managed to try a very nice vegetable curry and some very delicious desserts. 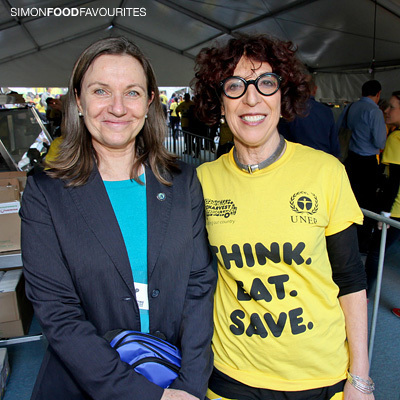 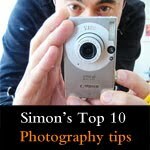 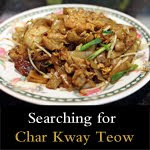 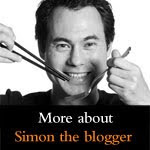 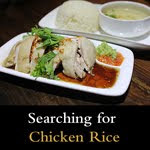 Thanks to Sylvia Fonseca from Liquid Ideas for letting me know about this special event and Cecilia Koong for helping me with extra information on the day. 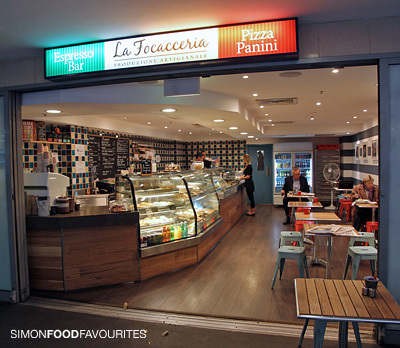 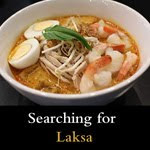 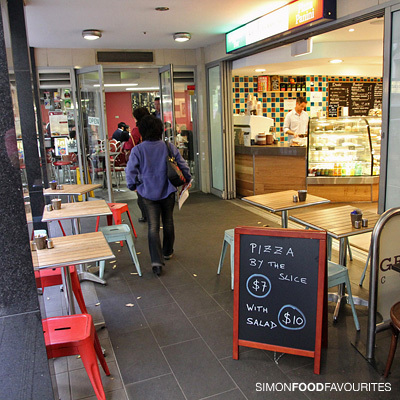 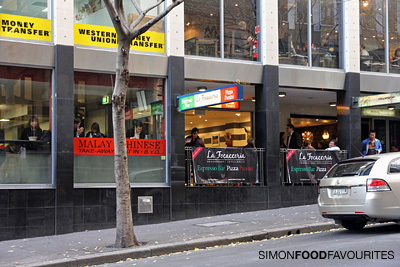 Thanks to Jean-Marc Parodi for inviting me to his cafe La Focacceria right next door to one of my favourite laksa places Malay-Chinese Takeaway. 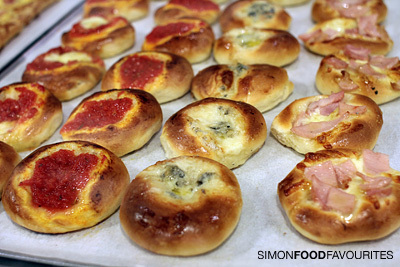 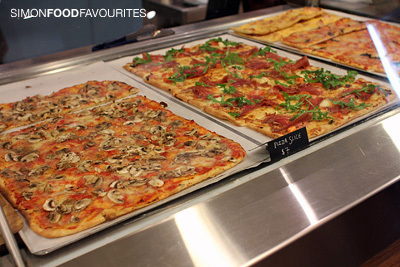 He's passionate about baking their pizzas, focaccias, brioches and pastries each morning in the hope of making them as good as they can be. 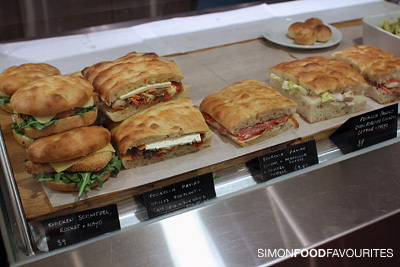 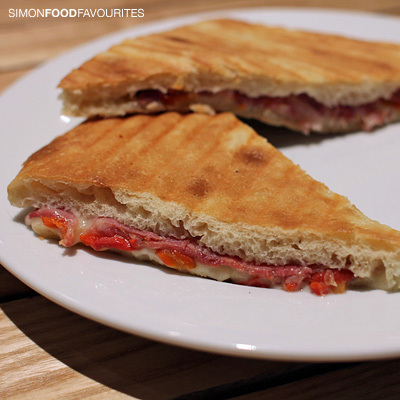 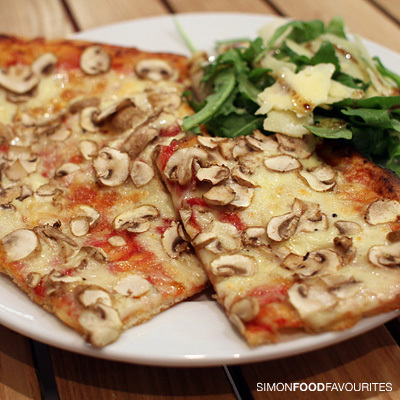 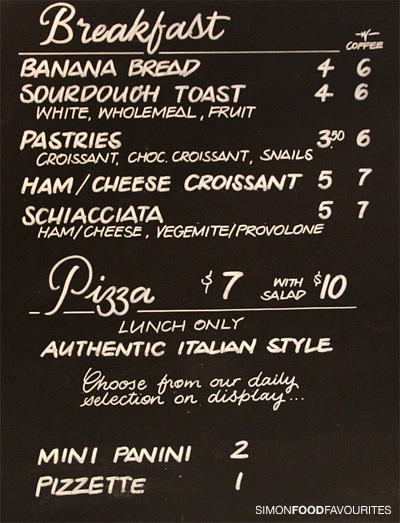 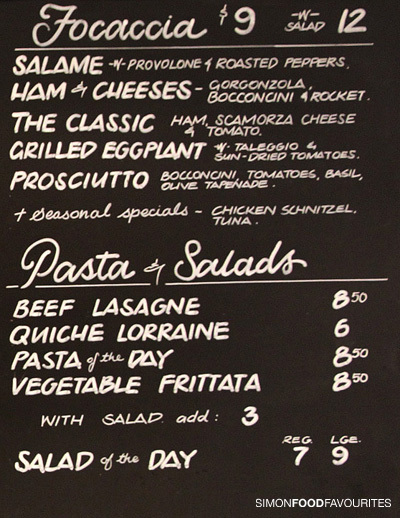 The focaccia and pizza I tried was quite nice but I don't really have this style of meal for lunch very often unless I'm in of a bit of a rush for a quick bite to eat. 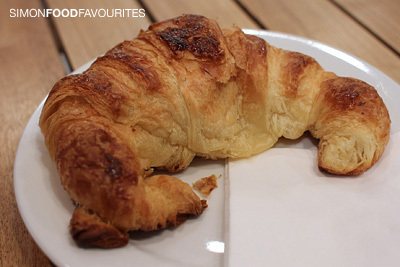 What interested me more was their croissants that they bake each morning in a limited supply. 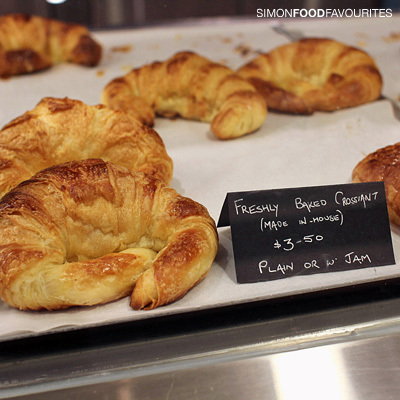 A good croissant is rare to find in the CBD and these were very enjoyable for $3.50 each. 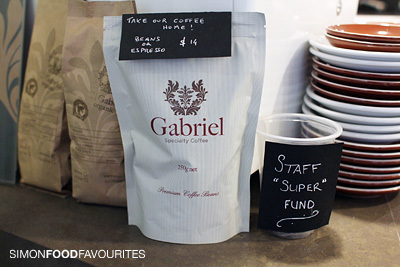 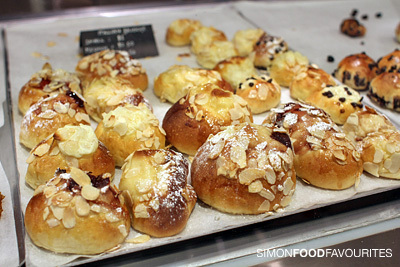 I even bought a few to take back to work and they were very popular with my work colleagues with one lady even saying it was the best croissant she'd had for a long time. 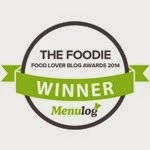 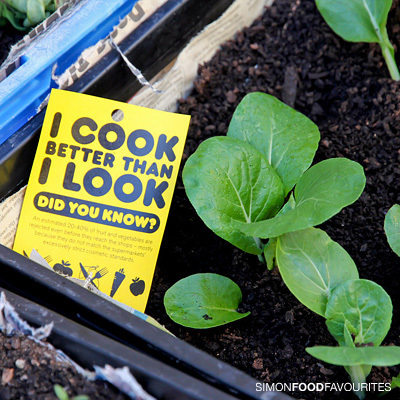 I guess it does make a difference when baked fresh. 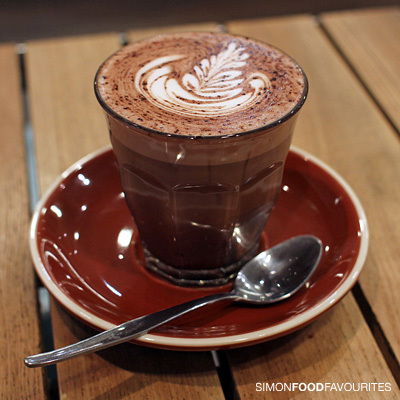 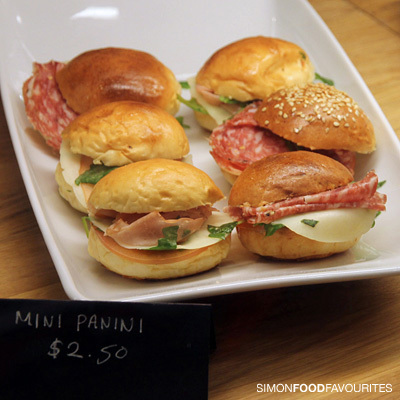 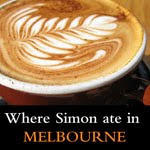 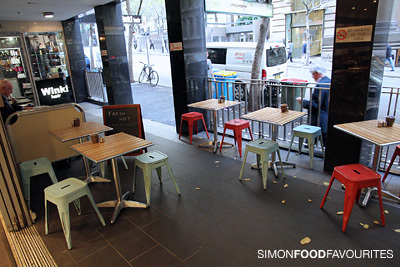 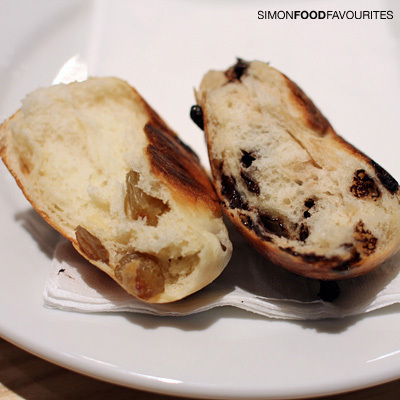 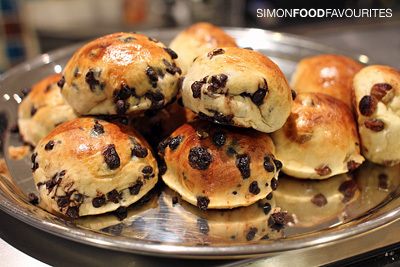 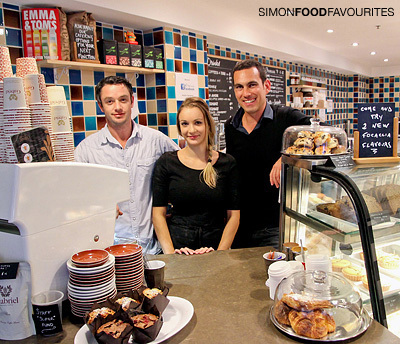 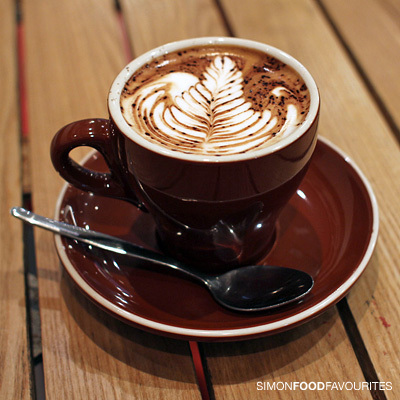 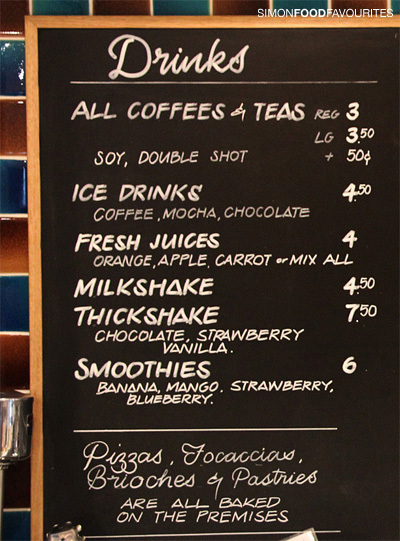 Simon the barista makes a decent Cappuccino ($3) and Hot chocolate ($3) and for a light sweet treat you can't go wrong with their freshly baked mini Brioche buns, Chocolate milk roll panini and Raisin milk roll panini for only $1 each. 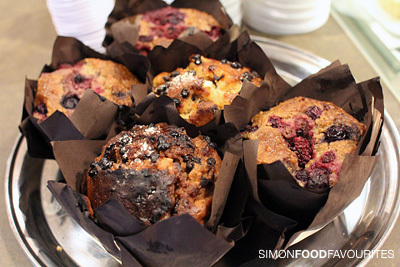 The Mixed berry muffin ($4) was very moist and still warm from the oven. 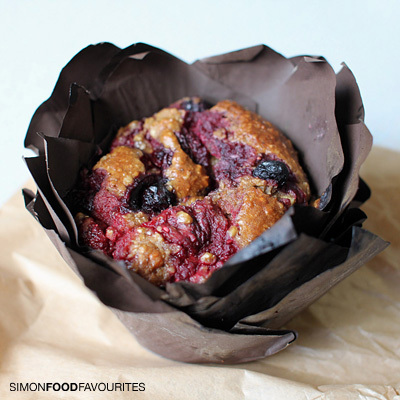 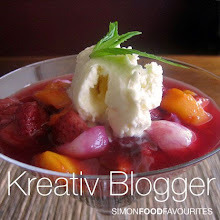 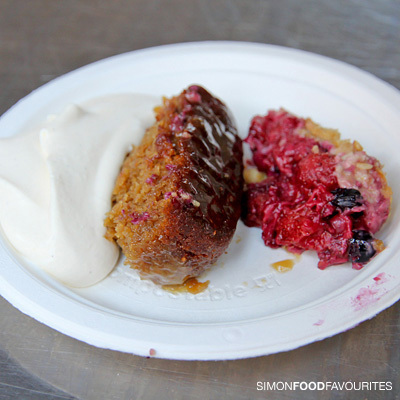 An abundance of fruit is nice to have but it also made it a tad too moist which can become a bit awkward to hold and eat. 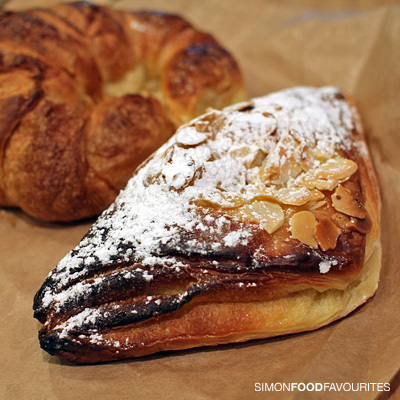 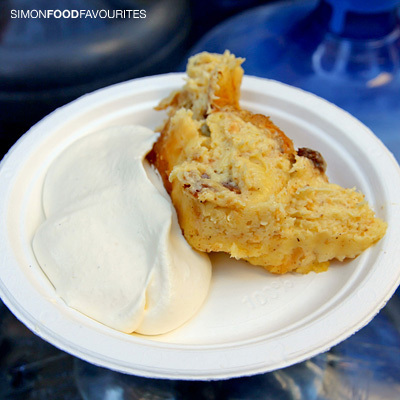 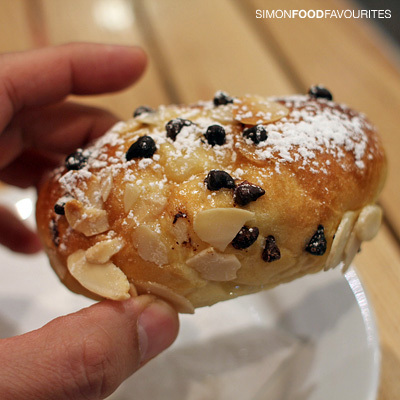 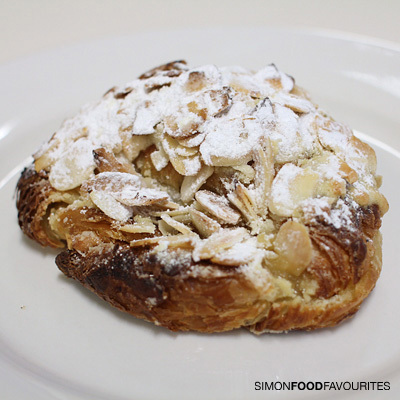 I also tried the Almond custard croissant ($3.50) and very popular Almond croissant ($4.50) with good flavour and pastry. 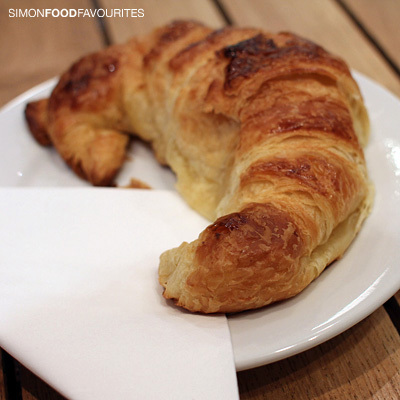 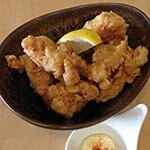 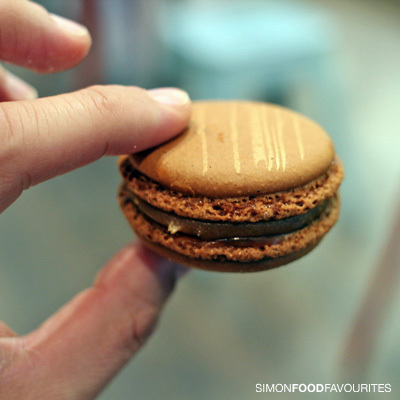 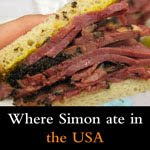 These go too fast in the morning so be quick or try and get Jean-Marc to save you one like I had to do. 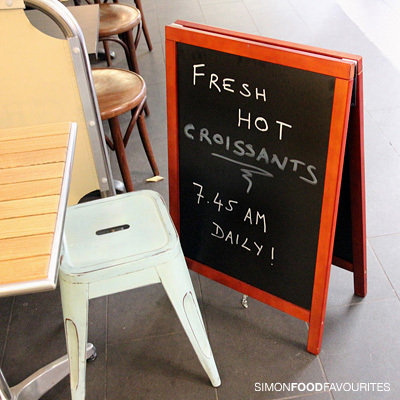 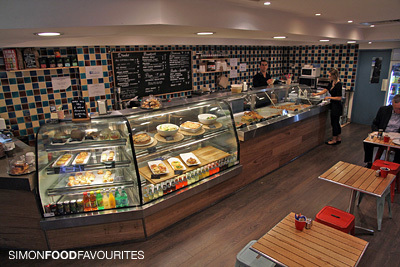 Decor and seating is simple and functional but it's the friendly service and freshly baked pastries and croissants that I think will keep enticing customers to come back for that decent coffee and sweet treat for the day. 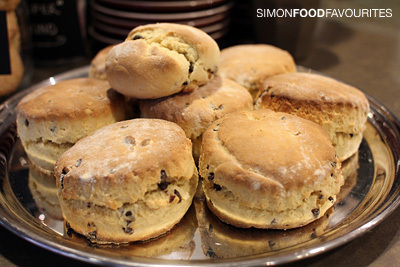 I hope to revisit to try their freshly baked scones and see how they develop their pizzas and foccacias to make them stand out from the crowd. 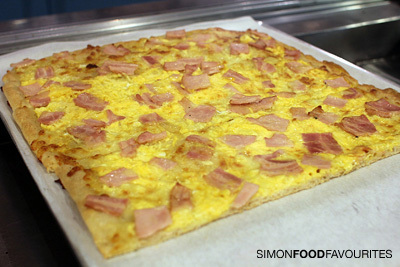 They even have a bacon and egg pizza if that tickles your fancy for a morning calorie hit.